The legislature’s enquiry committee is to invite former chief executive Leung Chun-ying to a hearing and seek court documents over his HK$50 million payment from Australian firm UGL. “We will definitely invite Mr. Leung [to the hearing]. We hope that he will fully cooperate with our work in terms of attending the hearing and providing the relevant documents,” lawmaker Paul Tse, who chairs the probe body, said after it met behind closed doors on Monday. (L to R) UGL probe committee members: Eunice Yung, Paul Tse and Priscilla Leung. File Photo: LegCo. He said the committee also plans to seek information from UGL and DTZ, a company that Leung served as board member of. “Where appropriate, we may ask their representatives to come to Hong Kong or even to our hearing,” he said. 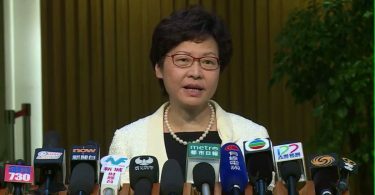 Tse said they will ask the responsible officers in Leung’s chief executive office to provide information, but there is no plan to approach officers from the Independent Commission Against Corruption on the basis that the procedure would be deemed inappropriate. 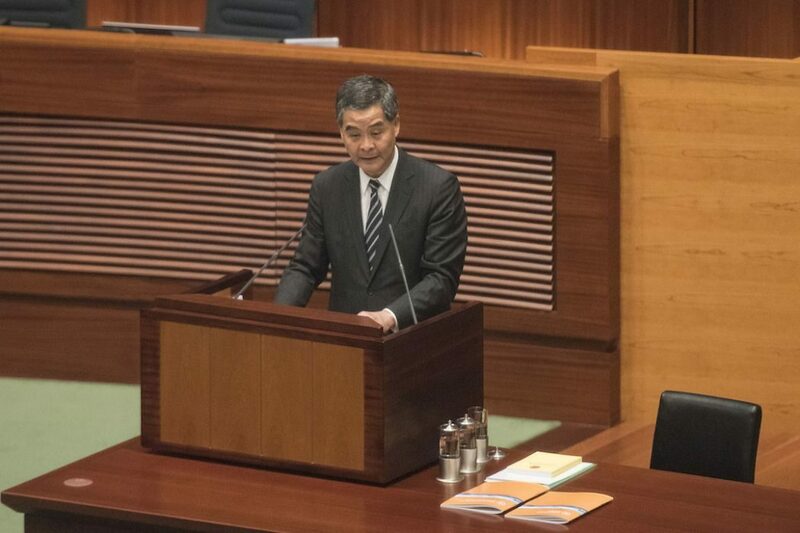 The committee will also seek all documents relating to Leung’s declaration of interest, including asset declarations submitted to the Chief Justice when Leung took office and interest declaration forms submitted annually to the Executive Council, according to Tse. But the lawmaker said the decision to surrender asset documents rests with the judiciary. The legislative committee also has no power to summon people to testify or give evidence. CY Leung. File Photo: LegCo. Tse did not reveal how pro-democracy and pro-Beijing lawmakers on the probe committee came to an agreement during the closed-door meeting, but said the discussion went “very smoothly,” according to Citizen News. Tse said the committee will likely meet again in October. 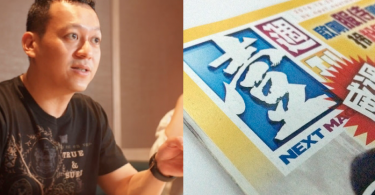 The committee was embroiled in a scandal in May after lawmaker Holden Chow was found to have allowed Leung to amend the scope of the inquiry. 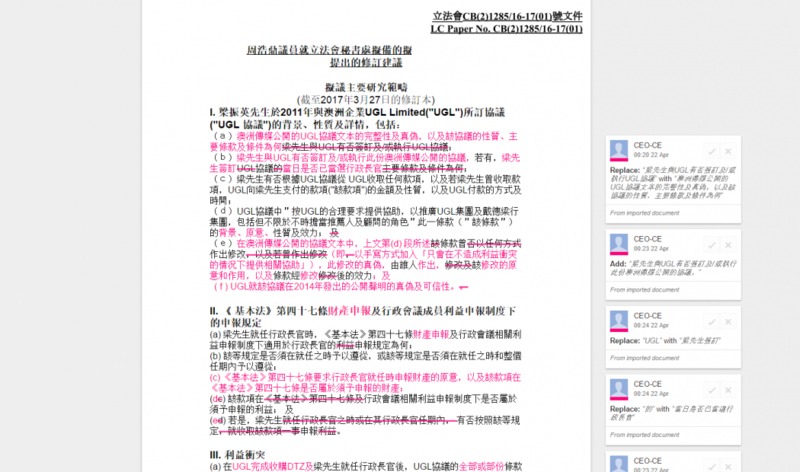 Some of CY Leung’s edits in the document. Photo: HKFP. Chow subsequently apologised for his “lack of political sensitivity” and stepped down from the committee. He insisted that he did not attempt to cover up anything or breach any rules. Meanwhile, Leung admitted that he approached Chow to modify the area of investigation, though he criticised lawmakers for breaking rules by exposing the incident to the public. Following the scandal, pro-democracy lawmakers proposed impeaching Leung and condemning Chow. 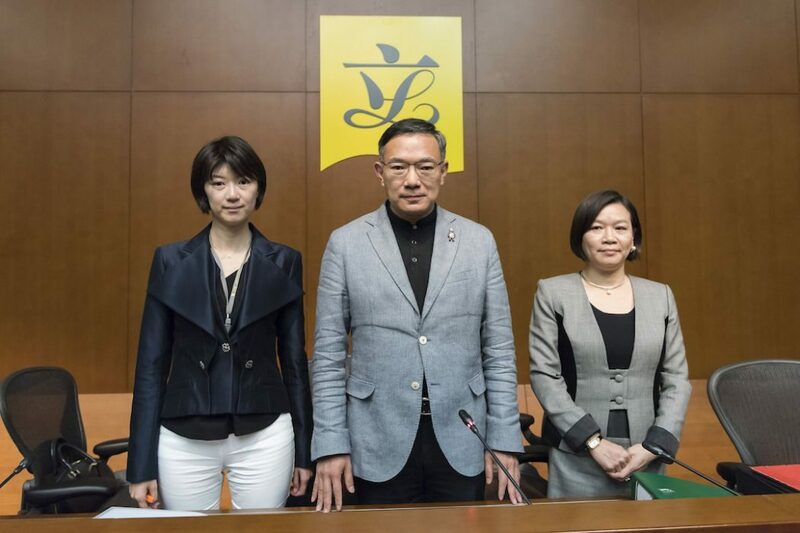 They failed in their bid against Leung, but a committee dominated by pro-Beijing lawmakers was formed to decide whether Chow should be censured for his action.